The image is an enlargement of a detail from a poster shown in ‘Screen prints’, Rick Poynor’s article about student film posters from the Royal College of Art’s archive. 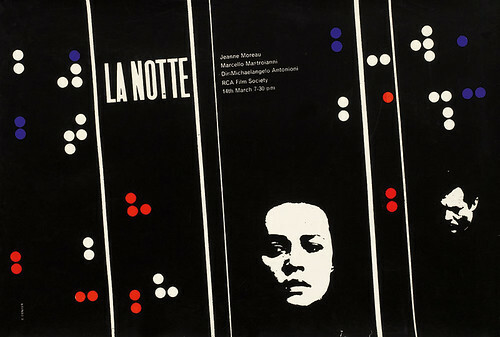 RCA Film Society poster for La Notte (dir. Michelangelo Antonioni, 1961), designed by Brian Denyer, silkscreen, 14 March 1963. 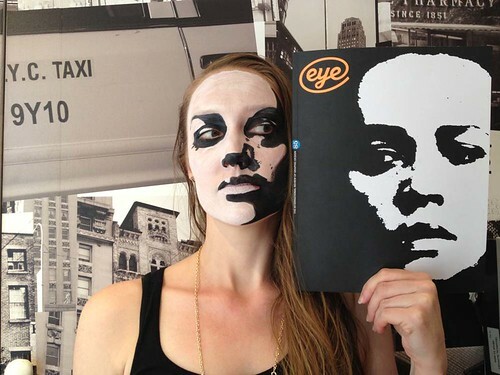 Top: the EYEsight winning entry, by designer Richard Marston. 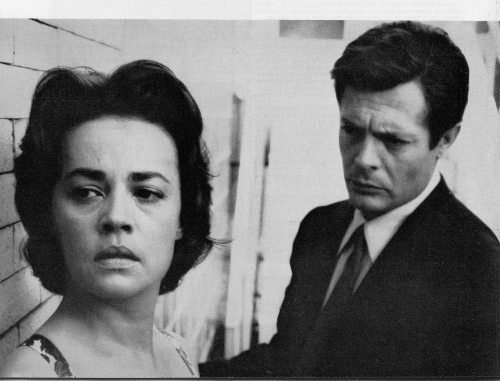 Publicity photograph of Jeanne Moreau and Marcello Mastroianni for La Notte, 1961. The photograph was taken on location during a scene that appears early in the movie – you can’t freeze-frame the film and find an image quite like it. La Notte trailer, directed by Michelangelo Antonioni, 1961. Yet it was a perfect choice for Denyer’s film poster – Moreau wears this impossible-to-read expression throughout the movie, while the complexities of her relationship with Mastroianni’s character are played out. 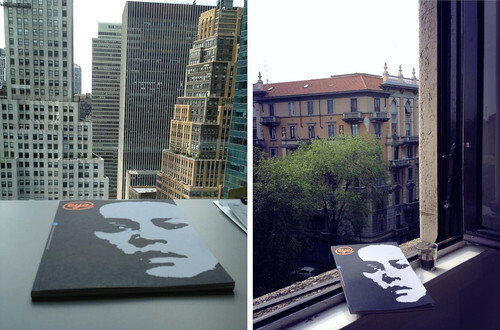 Jeanne overlooks the architecture of New York and Milan, photographed by art directors Chris Dixon and Kuchar Swara. 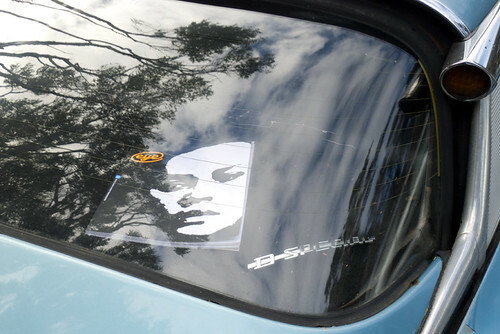 Sarah Snaith photographed as a mirror image of Moreau. 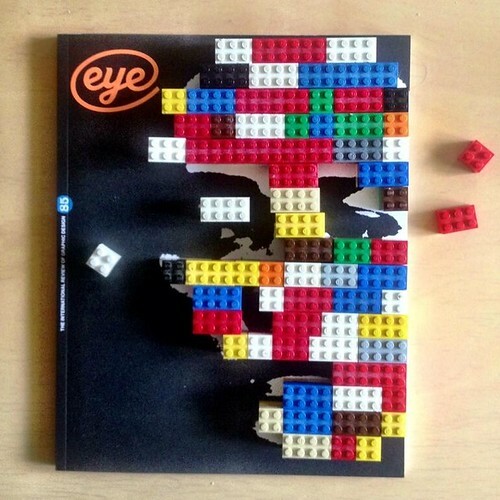 The cover of Eye 85 photographed with Lego (courtesy of Florence) by Ben Stott. Photograph by Catherine Griffiths in New Zealand. Moreau now stares back at us in countless locations, from bookshop windows, windowsills in Milan and New York, a French car in New Zealand and in the letterpress studio at the LCC, thanks to the EYEsight competition that we ran on Eye’s Facebook page during June 2013. 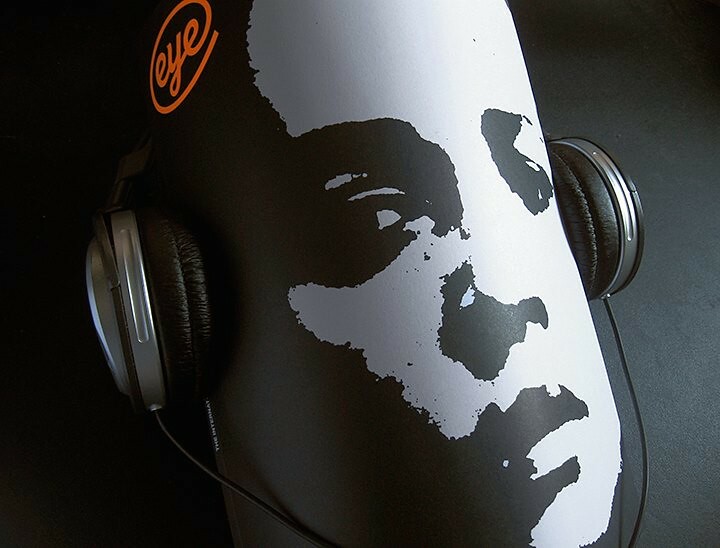 The winning entry, by Richard Marston, shows a subtly altered Jeanne wearing black headphones, perhaps listening to Giorgio Gaslini’s introspective jazz quartet from La Notte’s soundtrack. La Notte’s soundtrack: the Giorgio Gaslini quartet play ‘Blues All’Alba’. More about the EYEsight competition on Eye’s Facebook page. 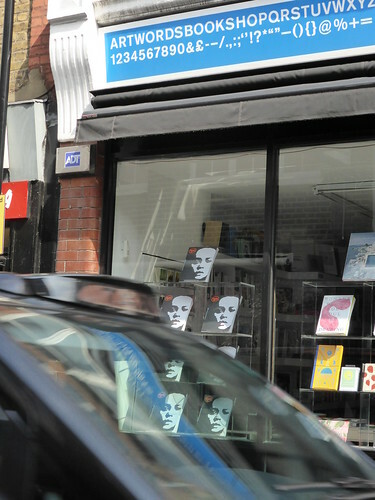 Eye 85 on display in the window of Artwords in Rivington St, London.